A couple of weeks ago I uploaded a post called How Many Words Should My Child Be Saying? 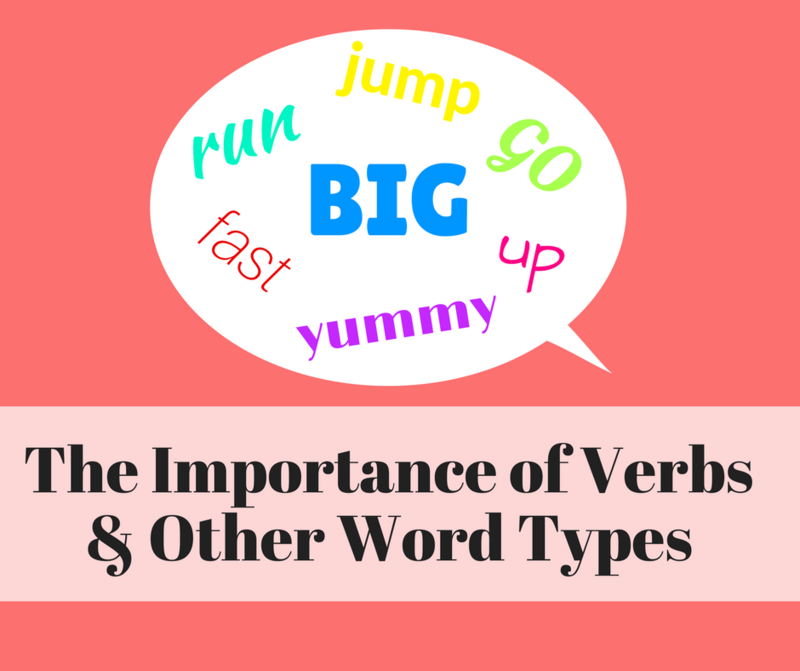 In this post I outlined the number of words children should have by particular ages, and why it’s important to monitor the quantity of your child’s vocabulary. What I didn’t really talk about, however, was the importance of variety within a child’s vocabulary. Most children’s earliest words are nouns, or the names of objects, people and places (e.g. Mum, dad, car, train, etc.). Once they begin to acquire more and more words, however, they begin to acquire new word types, like verbs (e.g. jump, run, go), descriptive words (e.g. yucky, yummy, wet, dirty), location words (e.g. up, down, there) and more. These words are important for effective communication, as there’s only so much information we can convey using nouns alone. They’re also necessary to make the leap from single words to combining words. Most children don’t tend to produce many 2 word utterances by putting 2 nouns together. Instead they tend to combine word types, like a noun and action (e.g. Ball go), noun and descriptor (e.g. Doggy big), etc. A lack of variety within the types of words within a child’s vocabulary may also be a sign of ongoing language difficulties into later childhood. 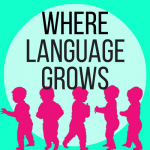 A recent study* identified small verb vocabulary and slow rate of verb acquisition in children 24 months of age to be a predictor of later grammatical deficits. So, need a hand picking some words other than nouns to teach your little one? Here are a heap of wonderful non-noun words to work on with your late talker!